Well this is the 5th and final blog for this year's Spring MLO since we all have now returned home safely. 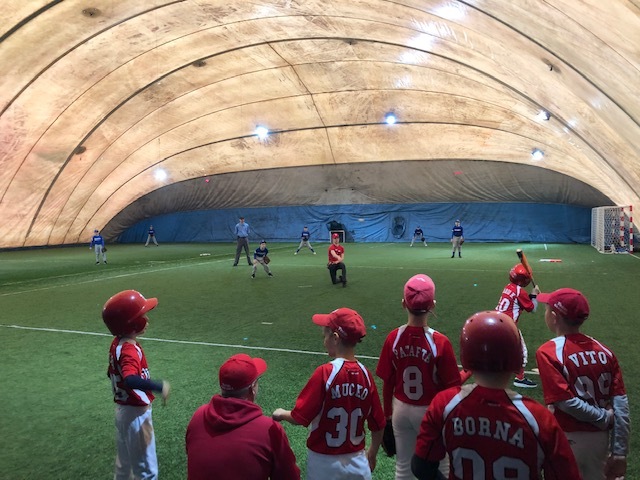 The final few days were a blur with much going on: closing down all the activities, as well as making preparations for the Summer MLO which is right around the corner. 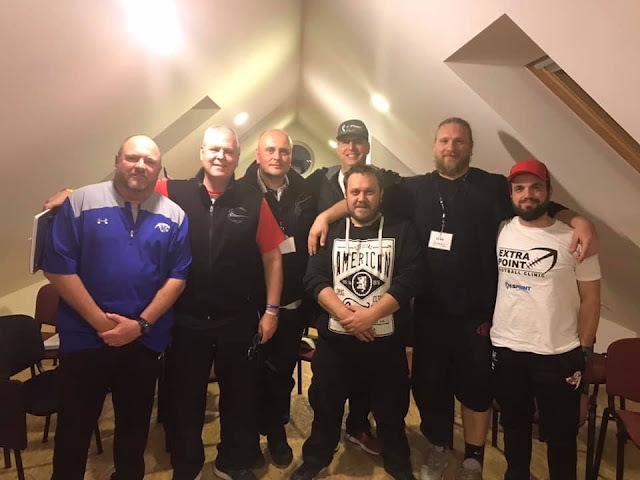 I will actually be returning to Croatia in 7 weeks (May 8th) for some mini-camps in different locations, but the rest of the HiS PRINT team will be coming the last week of June and the first week of July. 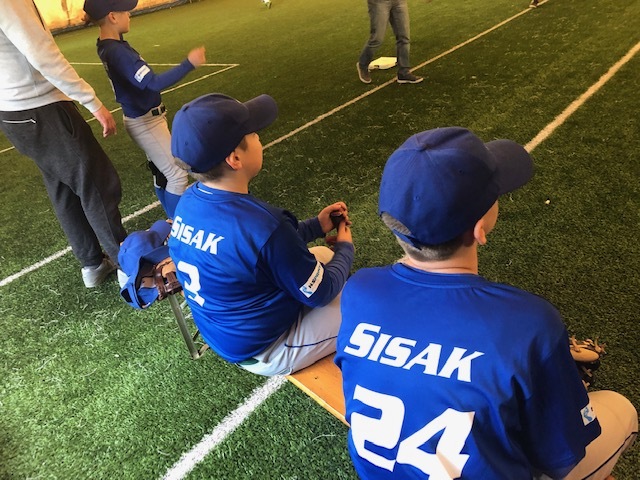 One of the highlights during these final days was to watch our young Sisak Storks play in a Little League tournament right there in Sisak. The Croatian Little League has an indoor baseball league during the winter and the city of Sisak has a sports bubble with turf where this tournament was played. It happened to be on the Saturday of our football coaches clinic, so I didn’t get to sit and watch, but because it was very close to where we were I was able to stop by several times. Go Storks! Most of you know that we send a 40 foot container full of donated sports equipment each January, to make it's long trek across the pond and get to our warehouse there in Sisak by March. Well, this year the ship was delayed and it is not arriving until the first week of April. Since I will not be there to help unload and unpack, we had to do some organizing and realigning now. These three fellas stepped up to the plate and knocked it out of the park. 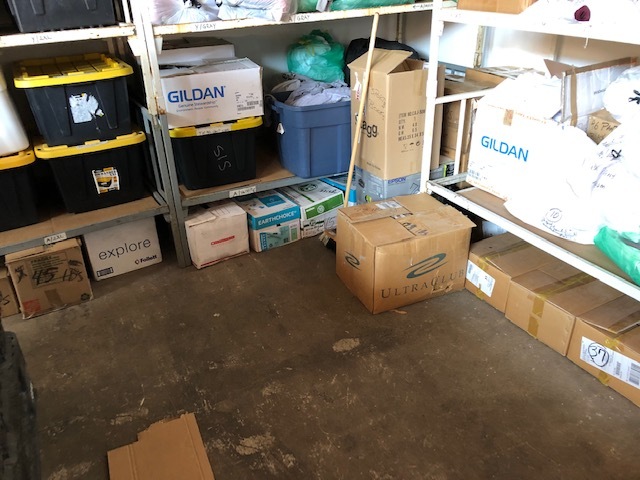 Vuk, Nicolia and Elder, from Serbia and Bosnia, spent much of their time preparing the warehouse for the 36 boxes that will soon arrived filled with equipment. The last couple of days were also very rewarding because it gave me the opportunity to see several friends and actually sit and talk with them. For some of those, it was a chance to reconnect and encourage and for others it was a chance to deepen a friendship by learning more about each other. For one, it was meeting on a plane ride home across the ocean and a chance to share with one another. Coach Antonio is a dear friend and huge helper at the warehouse. He is also the coach of the little Storks. Agron (Mouseman) is the owner of the local ice cream shop that feeds us daily in the summer. Deepened a friendship with him after spending four hours together. Awana Maja, she is such a blessing and her love for the youth is unmatched. Same is a young ship captain that I met on the plane ride home. He is from Ljubljana and we had a wonderful time of visiting. Next week I pray I will have time to share with you the family that we have met and is staying at HiS HOUSE to help continue the ministry there for the next 6 weeks. They are the Burkhardt's and are an absolute blessing and a God send for us! Back home in Texas, but the best place in Texas is in my Baby Doll's Arms! She is the one who sacrifices the most through all of this, with me being gone several weeks and months throughout the year! She is my earthly gift from God! Take care and God bless each of you and remember Jesus loves you and so do I!